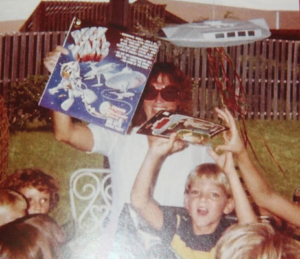 Ok, it wasn’t that long ago, it was just 1979 and for my 6th birthday party I got a bunch of Star Wars Action Figures, some Yoda Underoos, and my man Bossk here. ( Which I still have to this day in my office thanks to my mom keeping all my stuff for me!) Apparently I also received a record called Duck Wars, which I haven’t found on iTunes yet and in the background you can see my flippin sweet Millennium Falcon Pinata which my parents made for me. Some people would look at a picture like this of a figure mint in it’s package and say “oh I bet you wish you didn’t open that figure, because it’s worth so much today.” And my response is, are you stupid? Look at my face! I tore into every package and I played with those figures till their paint came off! The wonder years of imagination and fun that came from ripping the packages open and beginning to act out every seen in the movie and making your own is worth more than any amount of money! Some of you might be asking WHY?? why do you care so much about a stupid movie and keep a stupid figure for over 30 years! ?When I was a kid, I didn’t just watch Star Wars, I became the hero. My imagination would kick in me into hyperspace and my friends and I were immersed in the world of Star Wars for hours and hours. The same reason people love M-I-C-K-E-Y M-O-U-S-E! I had the great privilege of growing up in Tampa, FL just a few hours from Walt Disney World Resort and experiencing the “Magic” at a young age. As I would visit WDW Magic Kingdom I had that same experience of being transported into imaginary worlds by going on rides like Peter Pan and Pirates of The Caribbean. They transported me to a place where imagination was now a reality and where I felt like the hero of each story. In the creative process employed by Walt Disney Imagineering, every themed experience begins with a story…it is built into the Walt Disney Company’s creative DNA. So when I heard that Disney bought Star Wars I was excited about the possibilities that could come from such a great alliance. 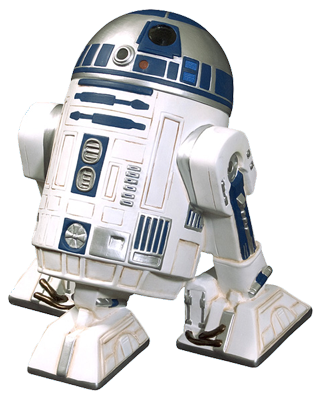 FFWD to today May 4th 2015 everyone is excited about the new movie Star Wars The Force Awakens. To be honest after the last experience of Episode I, a new set of Star Wars movies left me, and a lot of Star Wars Fans bewildered. The reason I’m more excited about this new movie has less to do with plot, bringing back the old gang or special effects in 3D Imax. The thing that excites me most about this movie is WHO is producing it – Disney. As a grown up (on the outside) having built my own marketing firm it has led me to read and study every great leadership book and business books I can get my hands on to continue to grow. Books like The Disney Way , Creating Magic , and Be Our Guest all tell the story of Disney’s level of excellence and integrity that you don’t get anywhere else in this galaxy. Disney’s attention to detail and their ability to providing a storytelling experience that immerse the “Guest” in that story with sight, sounds, touch, and even smells around WDW. 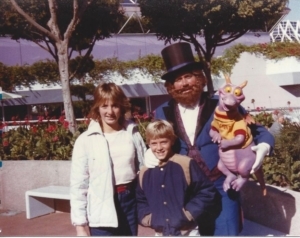 Because of Disney’s philosophy of business and commitment to customer experience that permeates into everything they do, that is going to bring a level of excellence we haven’t experienced since… A long time ago, far far away. 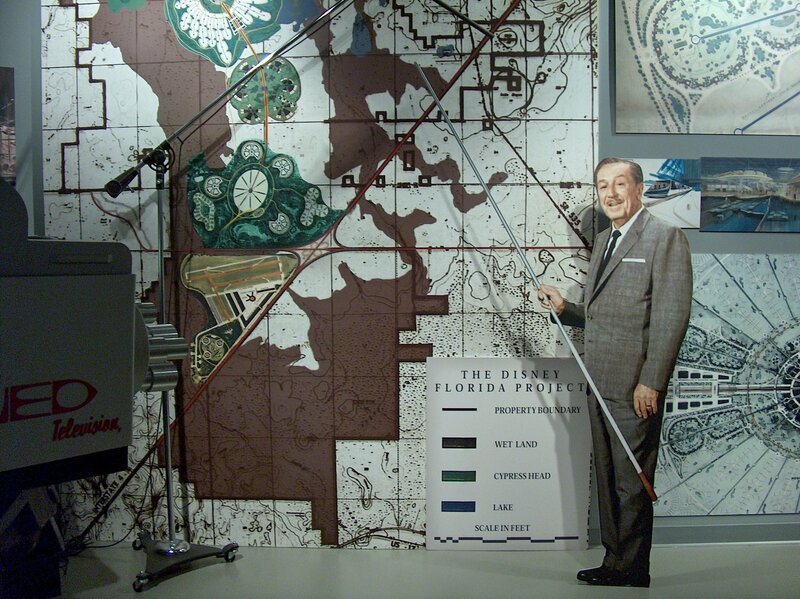 When Walt Disney set out to build WDW Resort , he had his eyes on the future. To Make Dreams Come True like only Disney Magic can. 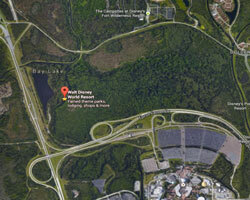 The Walt Disney World Resort is made up of 47 square miles of land…. or about 30,000 acres. 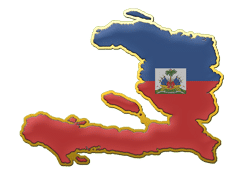 Only about 1100 acres of that land is devoted to the 4 theme parks. In fact, with only 7,100 acres developed, there’s quite a lot of room for expansion! This is the easy option to start from scratch. 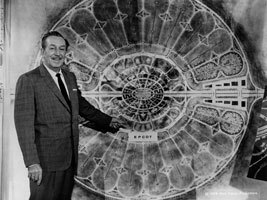 I'm Just Kidding, But seriously walt had Death Star on his mind when he designed Epcot! Each Room Comes With Custom Action Figure and have gift shop to buy/build for each family member. One of the things that makes disney guest experiences so great is the the total immersion into the story. The sights and sounds of light sabers turning on when elevator door opens and John Williams is perfect Elevator music! There is no place on the planet for SW fans to go and there are Millions of us who would love to go to one central place to enjoy SW. 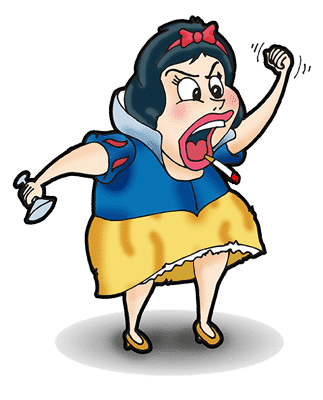 Replace the Chef Mickey’s with a kid friendly cantina where you can meet your favorite Star Wars character (And if you want to add an Adult Cantenia to downtown Disney or rooftop, that would be fun too. “Imagineering” combines imagination with engineering. Building upon the legacy of Walt Disney, Imagineers bring art and science together to turn fantasy into reality and dreams into magic. Now for some philosophical reasons for the contemporary resort being a good place for the new home of a Disney Star Wars Themed Resort. (And no it has nothing to do with the force or midichlorians!) I’m talking about Disney’s core philosophy of having unity and purpose behind every detail of imagineering the total Disney experience. 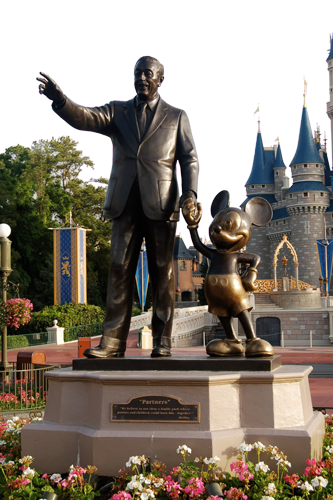 But the contemporary is lacking in that synergy of Walt’s look to the future today. I visited the contemporary a few weeks ago and I couldn’t help notice there is no clear theme or on the inside. 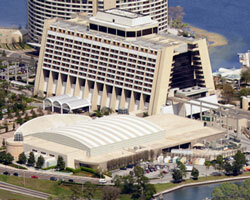 If the theme of the Contemporary Resort is to be, well contemporary or modern or even futuristic, it needs some help. Disney is all about storytelling and guest experience but there is nothing that says tomorrowland or the future to be found (other than monorail). 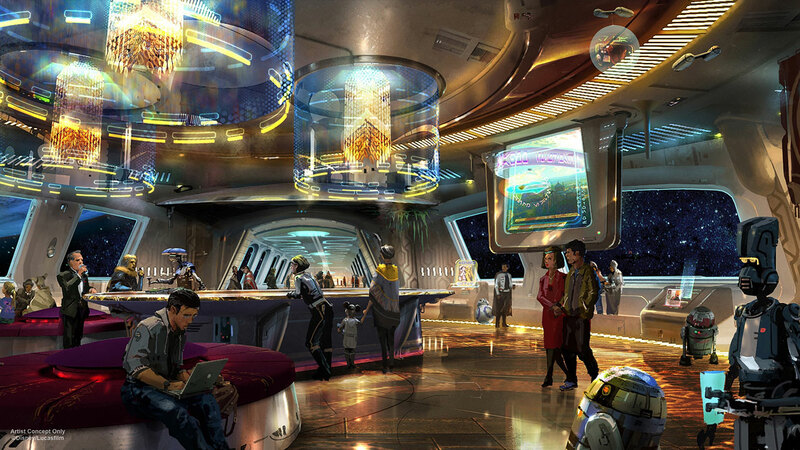 If Disney embraces the Star Wars Brand like their own characters, tell the story and immerse guest into the Star Wars universe like only Disney can, guest will be Amazed! Then Disney will be able to create a place “where people like to go on vacation and Disney is able to bring those place to the guest.” I can’t go to a naboo hotel underground, or frozen hoth hotel or spend the night in Darth Vader’s chamber on the Death Star or Yoda’s hut or any of the other fun amazing places because it doesn’t exist… yet! The new wave of hotels Disney is creating is amazing! 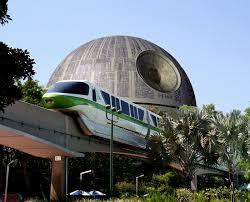 The Cars, Lion King Animation hotel goes over the top, so why not give the Star Wars brand the same treatment? My daughter LOVED the lion king when she was young, but now that she’s a freshman in college, not so much. I loved Star Wars when I was 6, and I have been a fan for 30+ years and there are millions of fans around the world who would flock to Disney just to experience what only Disney can deliver. The Star Wars fan base is far more reaching than any other Disney movie and their fans are life long fan$ and even if we grow up (on the outside) our affection for Star Wars would draw us to a Disney Star Wars Resort like moths to a light saber. Kevin Myers, a 42-year Disney veteran who is the vice president in charge of hotel operations, talks about how the contemporary resort is “iconic and guest are stunned by the futuristic idea of a monorail running through the hotel.” The Contemporary Resort has always been more of a spaceport than anything I have ever seen and more primed for the Star Wars Themed Resort than anything out there. 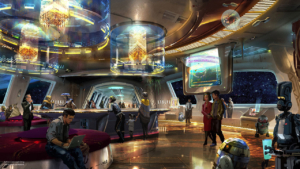 Walt Disney World became the first Destination Resort in America and what better way to celebrate their new purchase than by creating an amazing, futuristic resort that fit the theme of Tomorrowland and the Star Wars Universe. According to, Bob Chapek, Chairman of Walt Disney Parks & Resorts, just confirmed that a Star Wars-inspired resort will debut as part of the new Disney 360 vacation concept.this revolutionary new vacation experience will be a living adventure that allows guests to immerse themselves in an entirely new form of Disney storytelling.